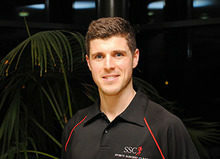 ‘How we treat low back pain’ by Neil Welch, Lead Strength and Conditioning Coach at SSC. Despite a vast amount of research in the area, low back pain remains a huge issue worldwide. In Ireland, an estimated 400,000 people suffer with low back pain, 80% of which are under 50 years old. By Neil Welch, Lead Strength and Conditioning Coach at Sports Surgery Clinic’s Physiotherapy Department. More research needed into ‘the neglected arthritis’! The human body can succumb to many different types of arthritis, from inflammatory arthritis such as rheumatoid arthritis, to crystalline arthritis (e.g. gout), to connective tissue disease arthritis (e.g. lupus or SLE). However, osteoarthritis (OA) is overwhelmingly the most prevalent type of arthritis not only in Ireland but worldwide. By Dr Barry J Sheane, Consultant Rheumatologist at Sports Surgery Clinic. Running is a foundation skill for many field sports, but it is a skill that is seldom learned and often neglected. At the Sports Surgery Clinic we see many GAA players, who present themselves with injuries that stem from running with poor biomechanics. This article by Colin Griffin, Running Coach, SSC was published by the Gaelic Players Association (GPA) as part of their ‘Body of Evidence’ Blog. Chronic Injury in Sport – What are the drivers behind chronic and recurring injury? 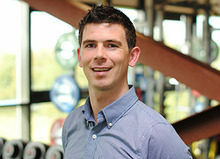 A blog by Enda King, Head of Performance Rehabilitation, SSC which was published by the Gaelic Players Association (GPA) as part of their ‘Body of Evidence’ Blog. Adding load to inefficient movement is asking for trouble says Neil Welch, Lead Strength and Conditioning Coach, at Sports Surgery Clinic. This article was published by the Gaelic Players Association (GPA) as part of their ‘Body of Evidence’ Blog. 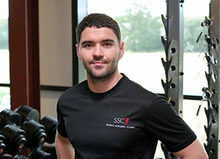 A blog by Enda King, Head of Performance Rehabilitation, SSC which was published by the Gaelic Players Accociation (GPA) as part of their ‘Body of Evidence’ Blog.